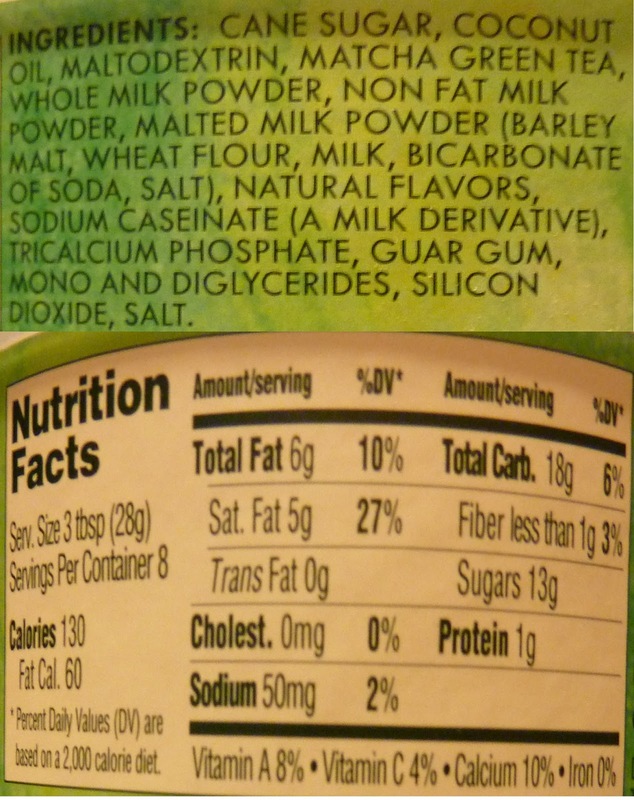 Last year, we reviewed TJ's Tropical Sweetened Matcha Mix. That product left more than a little to be desired. Neither a tropical fruit drink nor a true matcha green tea drink, Sonia and I felt that it missed its mark—regardless of the fact we couldn't tell which mark it was aiming for. It was just...off. 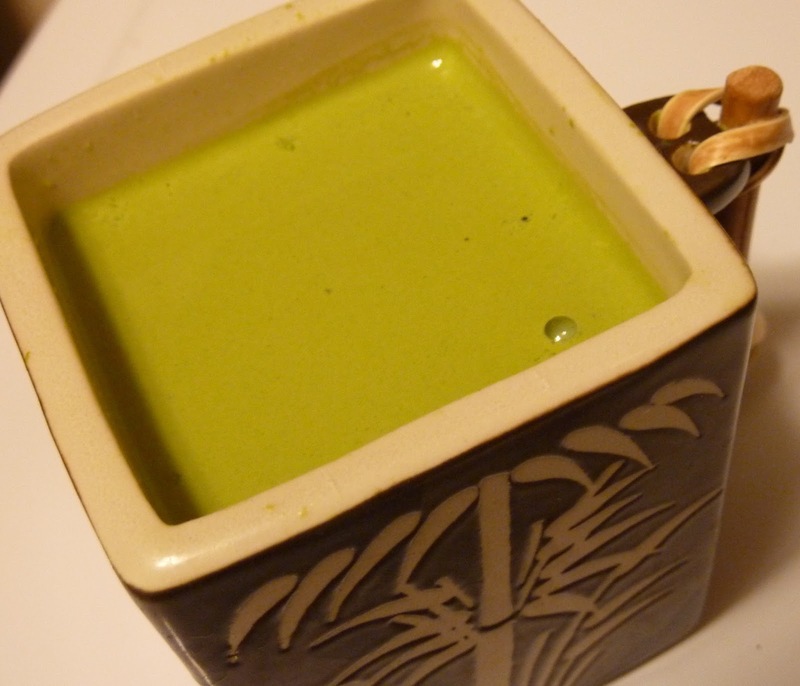 And while I've never been thoroughly impressed with the taste and texture of matcha green tea to begin with, true matcha fans like Sonia might get really excited over this Matcha Green Tea Latte Mix. It's thick and creamy, and it actually tastes like matcha. It mixes very smoothly and leaves virtually no powdery grit after stirring—IF you follow the instructions and mix it with hot water. If you want it cold, just chill it after you mix it. Mixing it with cold water requires several years worth of stirring. For extra creaminess, you can make it with milk or soymilk. I found that if you mix it with water and also serve it on ice, as per the instructions, that it gets a little too watery and thin. If you're going to chill it with a glassful of ice cubes, we found it's best to use some kind of milk. It's still sweet enough, but it loses almost all of its creaminess. 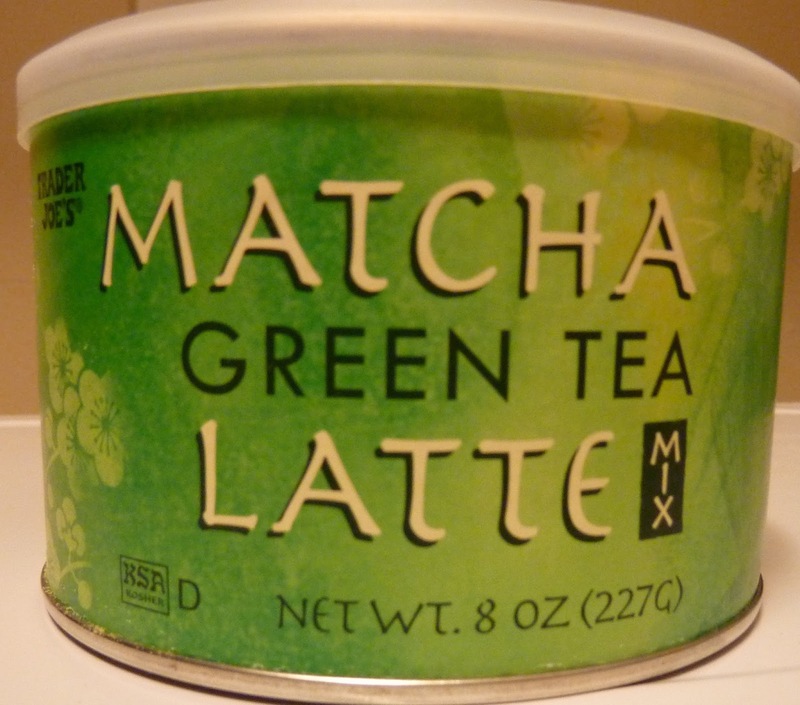 I'm not sure what it is that turns me off about matcha. I feel like it looks and tastes just a little too much like a plant...or algae...granted, sweetened algae, but I'm just not into drinking algae at all. I like tea. I like chai. But I didn't even like that matcha flavored mochi that much—and Mikawaya mochi is wonderful. Mushroom Mochi? Glad Russ reviewed that stuff. You couldn't pay Sonia and I to try it—we're both pseudo-allergic to mushrooms. How did we get to talking about mochi? Back to matcha. Anyway, I couldn't even stomach the Matcha Green Tea Smoothie from Jamba Juice—and I love me some Jamba Juice. I'm just not a matcha guy. But if I were, I have determined that I might have liked this particular product. Sonia loves it. She says it reminds her of the matcha latte from Coffee Bean and Tea Leaf. She gives it 4 stars. I don't think I'll be drinking it on a regular basis, but since I can tell that it's a quality product, I think I'll go with 3 stars. If you're into green tea, but not necessarily matcha, check out Green Tea and Lemonade or Pomegranate Green Tea. What I've liked best with this powder is putting it a couple tablespoons in a blender with 12 oz of milk and a handful or two of ice cubes. Pretty close to the green tea blended cream at Starbucks. Yeah, Sonia talked about doing that, but I don't think she's tried it yet...good idea! If anyone else remembers the green tea blended drink at panera... Blend a couple tablespoons of the latte powder, 1/2 c or so of yogurt, about a cup of chunks of frozen honeydew, and whatever liquid you prefer (I like to make and cool some regular green tea) gets pretty close! And some lemon zest if you're feeling fancy. I think it was about $4 at our TJ's, kytes. Mixed 1T and a frozen banana in the food processor for green tea ice cream - really good and only 153 calories!